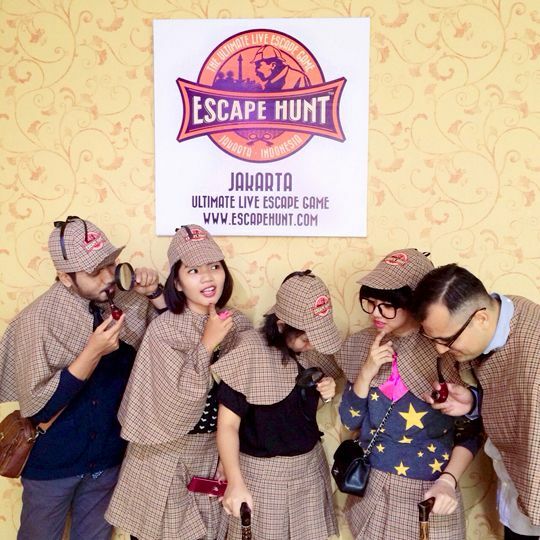 Went for the Escape Hunt challenge this morning together with S, Intan, Dinda and Rudy. It was so fuuuuun that S and I are already making plans to try all of the other challenges they have. I did feel a bit of disconnection between the brief of the challenge and the actual challenge itself. 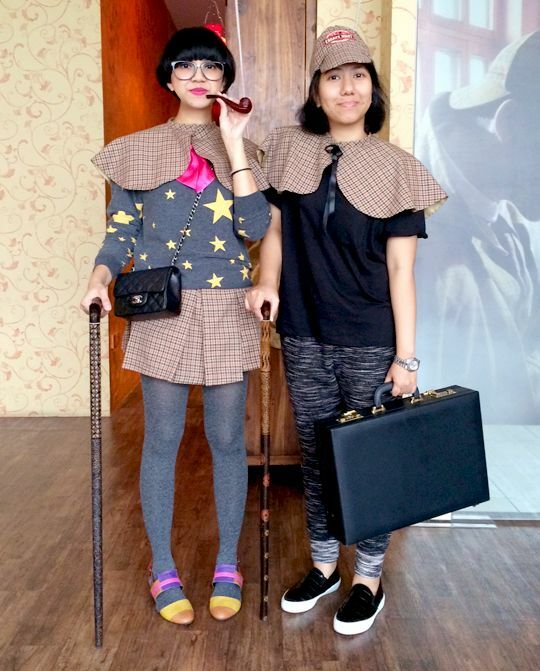 As we went for the "Murder In The Room" game, my mind was set to solving a murder case in a crime scene, just because I am addicted to detective series like that, and perhaps, that was what I wanted to do most - to solve a murder case. But it being an escape game, whatever settings or cases they have are simply just "themes". So I got it all wrong hahaha. 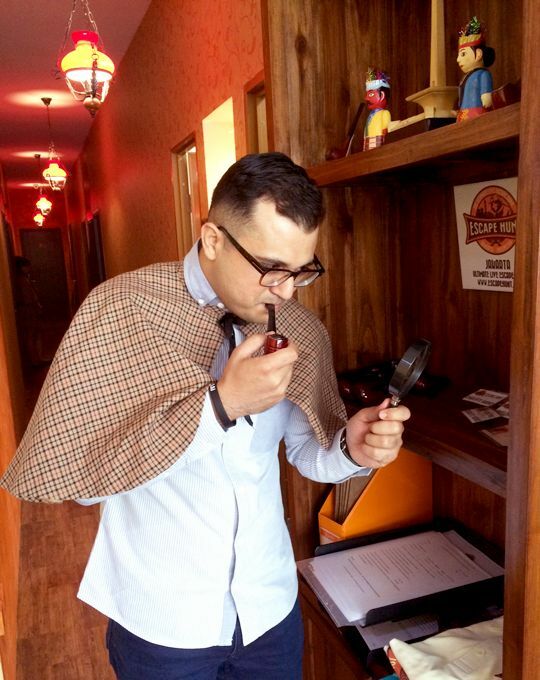 I think I was thinking too much, trying to be Sherlock, you see. The whole point is to not solve a case nor find the killer nor investigate how the murder happened, but to simply play along the clues and find your way to escape out of the room.